Heo Gyeonghwan and Oh Nami are currently enjoying great popularity as a virtual couple on the TV show. 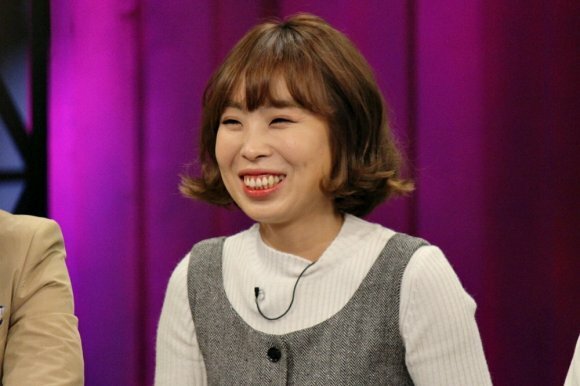 This week’s ‘Happy Together’ features five comedians including Jang Dongmin, Heo Gyeonghwan, Oh Nami, Kim Jimin and Park Hwisoon. Oh Nami has shown her feelings towards Gyeonghwan since she was a rookie star. Even after they became a virtual couple, it is only Nami who expresses affection. How about Gyeonghwan? Is it a one-sided love? Nami says, “Having a chance to live with Gyeonghwan makes me really happy these days.” And, she will not stop complimenting him while Gyeonghwan just stays silent. After this, Gyeonghwan finally makes a word. Will he confess his feelings?